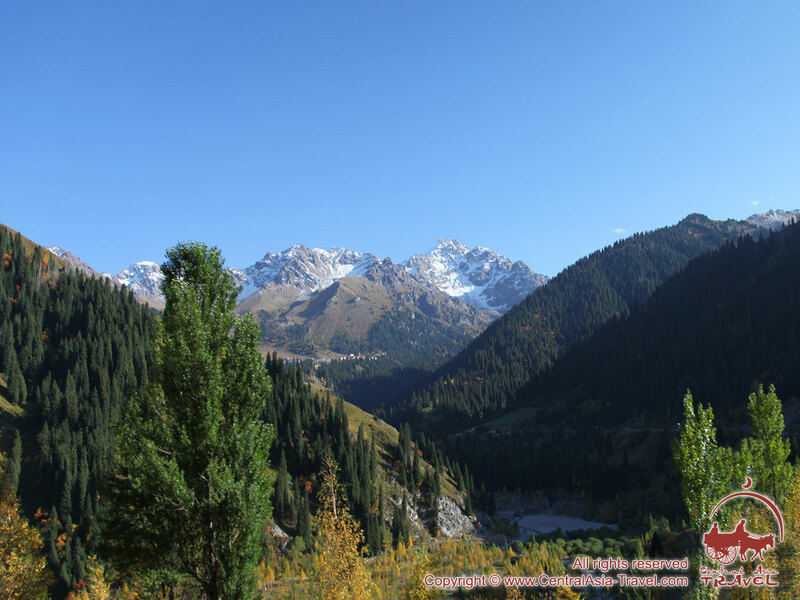 Kazakhstan is a huge country with diverse landscapes, dazzling capital cities, numerous lovingly cherished traditions and a truly exotic Asian culture. The 20 years of hard work and multilateral cooperation with the world brought Kazakhstan to the list of the world's 30 most developed countries. 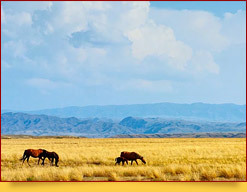 The territory of Kazakhstan would be highly appealing to any geographer: it comprises infinite wild steppes with fresh- and saltwater lakes making them particularly charming, a unique pine forest, the powerful Tien Shan Mountains, the world’s second largest and most important canyons and the Aral Sea that all but disappeared from the face of the Earth. 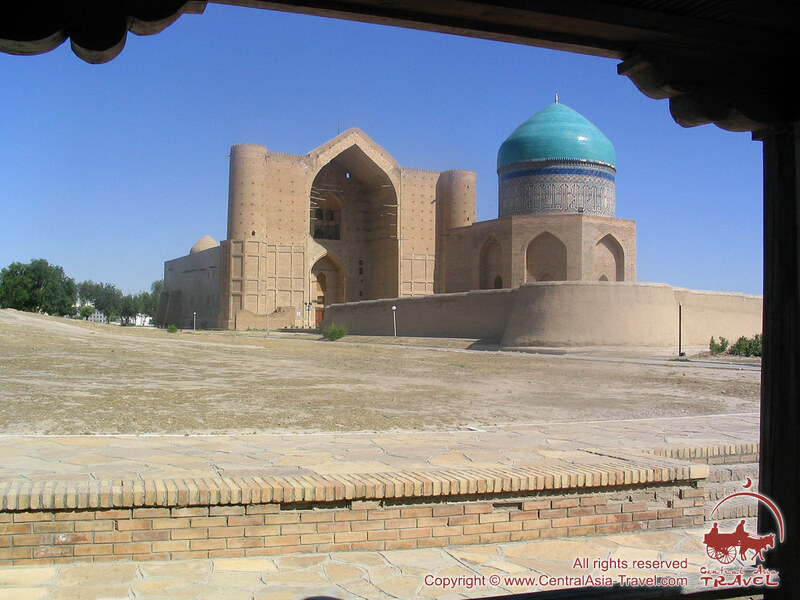 The ancient Kazakh land witnessed a great number of significant historical events, such as the successful struggle of the brave Saka tribes for their freedom against kings Cyrus II and Darius I of the Achaemenid dynasty from the adjacent Persian Empire, as well as against the strongest army of Alexander the Great, who failed to conquer the proud nomadic people. This is also the place where Tomyris, the queen of the Massagetae, nomadic tribes that populated the Aral Sea area, executed Cyrus the Great himself in 530 BC. There are many mysteries and secrets about the Kazakh soil, and it is impossible to understand its soul unless you come to visit the native land of ancient nomads and see with your own eyes the infinite steppes and traditional yurts - the symbols of the ancestors of the contemporary Kazakh people. How to Dress in Kazakhstan. Cost of Food in Kazakhstan. Location. Spreading on the territories of both Asia and Europe, Kazakhstan is the world's ninth largest country. It is by far the Earth’s biggest landlocked country. Area. This transcontinental state 2,724,902 km2 in area is larger than the 12 biggest countries of the European Union taken together. Although Kazakhstan’s territory encompasses 5,800 rivers and 48,000 lakes, it cannot be called a green country. Deserts and semi-deserts occupy 54% of its area, steppes - 35%, while forests cover only 5.9%. Ethnic composition. 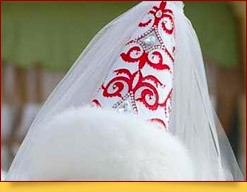 Kazakhs make up 64% of the country’s population, Russians - 22% and all other peoples - 14%. 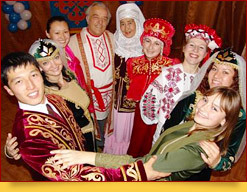 There are over 30 nationalities inhabiting the Republic of Kazakhstan. Political structure. A presidential republic with a bicameral parliament. Administrative and territorial division. 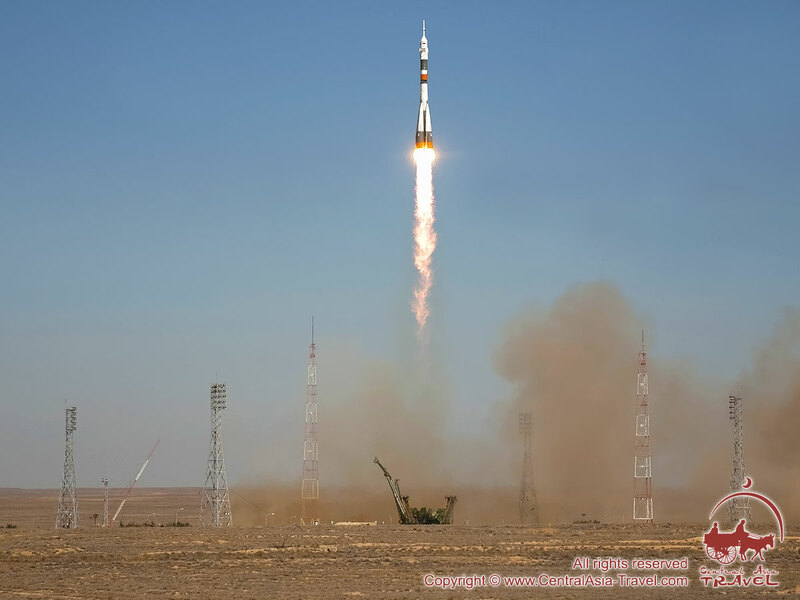 Three of the 86 Kazakh cities - Astana, Baikonur and Almaty - are administered by the central government. 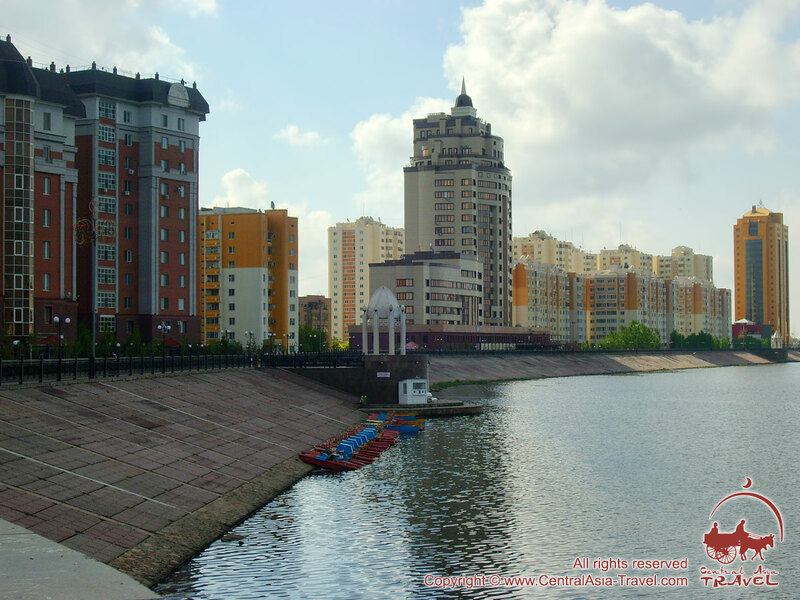 The capital is Astana (in Kazakh - "capital") city with a population of about 778 083. Official language is Kazakh. Russian is an international language used throughout the country. Monetary unit. The local monetary unit, tenge, is the only one used to pay for any goods or services within the country. Religions. Islam (71%) and Christianity (25%) are predominating religions. 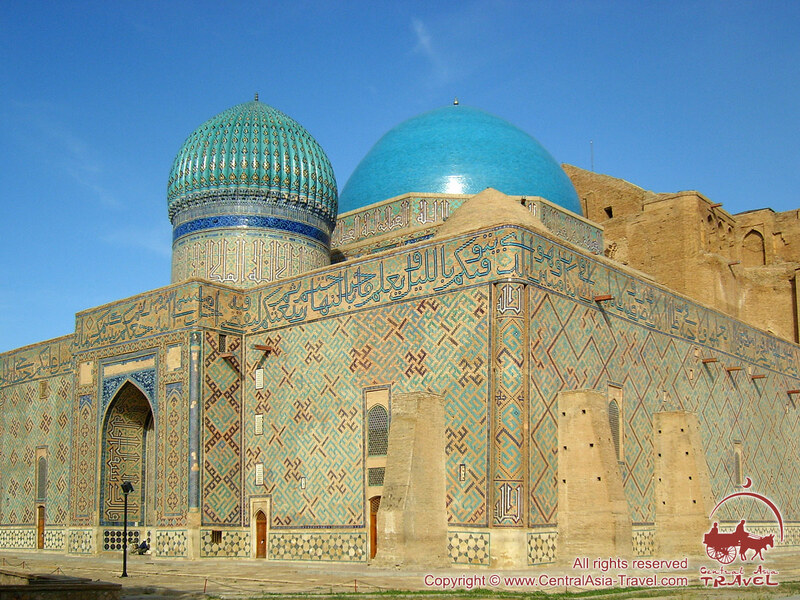 The Kazakh people are the least religious in Central Asia. 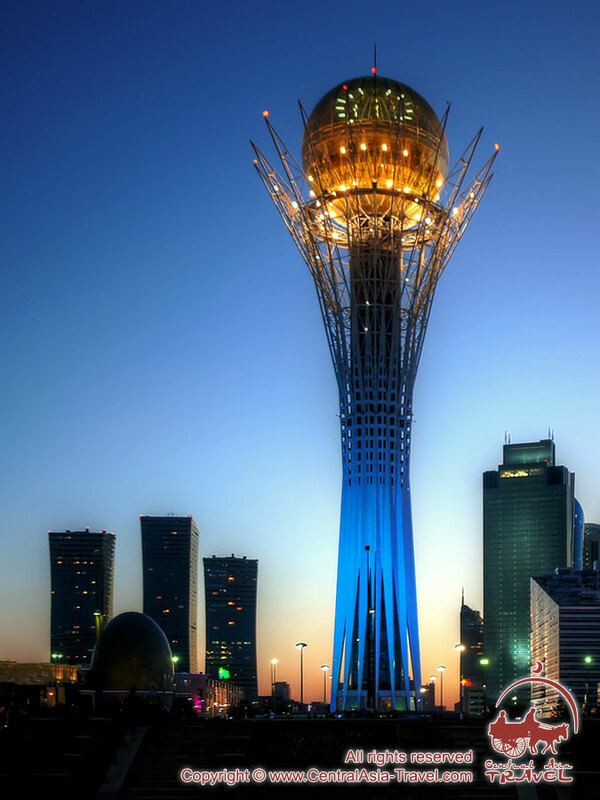 Standard time zone: Kazakhstan occupies a vast territory and encompasses two time zones - UTC/GMT +5 hours, UTC/GMT +6 hours. Electric power. Standards С and F sockets with a voltage of 220 V and a frequency of 50 Hz are used throughout Kazakhstan. Kazakhstan lies in the same latitudes as Italy and Spain, but has an absolutely different climate. The northern areas feature a relatively short summer and very cold winter, with temperatures dropping as low as minus 40°C. The southern regions do not need to survive long and cold winters, but they suffer from very hot summers. 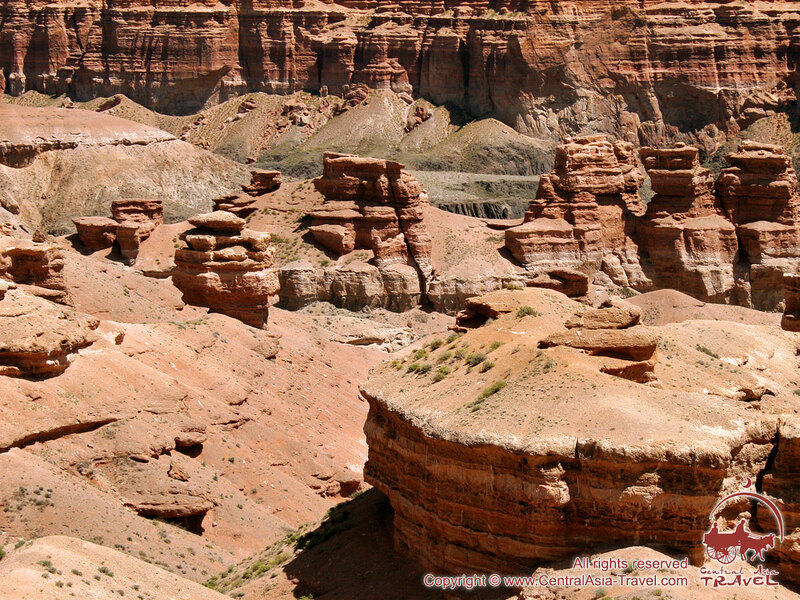 The climate in Kazakhstan is dry continental. It may snow in any part of the country, but annual precipitation can hardly be higher than 500 mm anywhere. 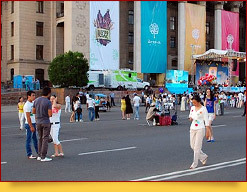 The summer in Kazakhstan lasts from mid-May to about mid-September. It is dry and hot, with temperatures rising to +35-40°C. The winter begins in mid-November and continues until April. The air in this season is dry and cold; the average temperature in January is minus 18°C. Most of the days are clear, frosty and windy. 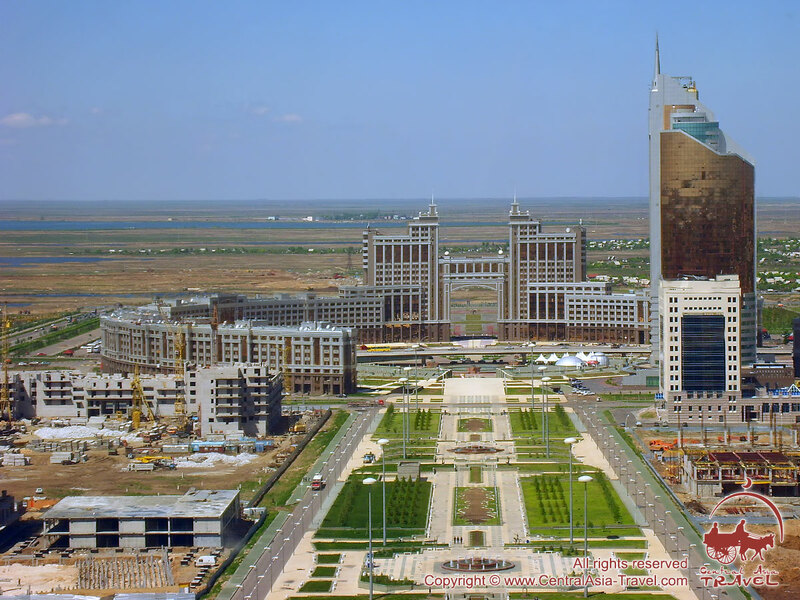 Astana is considered the world’s second coldest capital city after Ulan Bator. 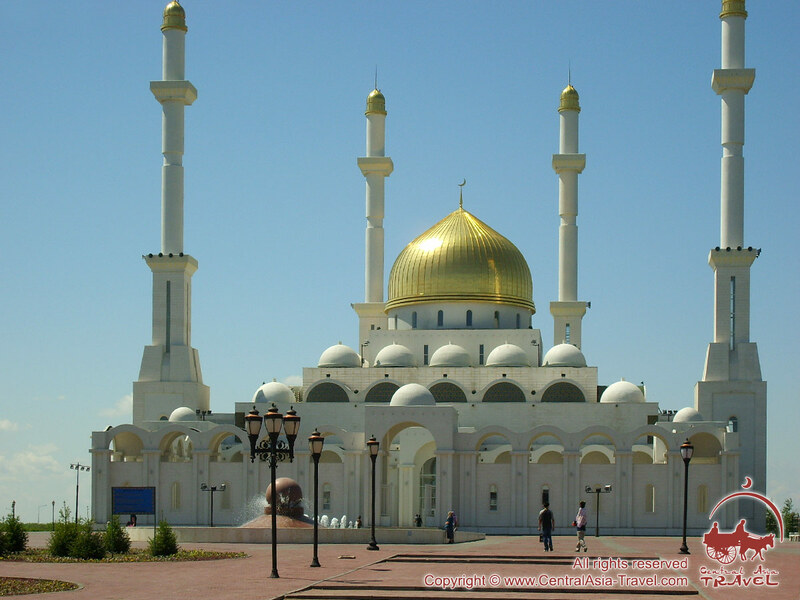 Kazakhstan is a secular state where progressive views predominate. Almost any type of clothes is acceptable in public places. It is next to impossible to see a person dressed in traditional costume in the capital or any other large city. Choosing your clothes you should only be guided by the time of the year. In summer you should wear light clothes from natural textiles, while in winter you will need warm clothes and footwear, in which you will feel comfortable at minus 20°C. 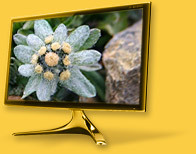 In spring and autumn the weather is quite unpredictable. Visiting a religious place you should be dressed in clothes covering your shoulders and legs. As well as in other nomadic peoples, the traditional Kazakh cuisine included cooking methods aimed to preserve food for quite a time. Meat is the key element in the country’s kitchen and is used in a wide range of meals and to make various types of sausage, the most popular of which is kazy. Kazy is made of meat from horse’s ribs and fat. The piquant taste of this sausage is filled with the warmth of a bright sun and the bitter fragrance of steppe herbs, which makes you feel an ancient nomadic warrior. Sausage shuzhuk is similar to kazy but has a somewhat more delicate taste. 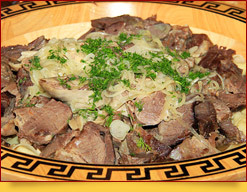 Unlike kazy, shuzhuk is made from any part of horse’s body (not only from that near the ribs) with the addition of fat. The ingredients are stuffed into the small intestine. Sheep’s breast on a spit also ranks as one of the most popular Kazakh meals. In this dish the skin is not removed but only singed. Boiled meat is also a common meal for the Kazakhs. They believe that only boiling allows meat to retain all its taste, aroma and good properties. Those who have tasted true Kazakh beshbarmak can hardly find a place anywhere in the world where it is so delicious. Foods from fermented milk also play an important part in Kazakhstan’s cuisine. Sour milk tends to retain its properties and does not rot during long journeys across the steppe, supporting and invigorating one’s organism and quenching one’s thirst. Ayran with its pleasant sour and salty taste, shalap - less savoury but more nourishing through the addition of bread, or koumiss (also spelled kumiss, kumis) making one’s body lighter - all these are essential elements on the Kazakh dastarkhan (table). Ayran is a common drink in some other countries, too. Apart from beverages, sour milk is used to make qurut (also spelled kurut, kurt, qurt, gurt, qort). This food consists of small dried balls or rolls with a particular taste and is perfect with beer. Kazakhstan can hardly be called a cheap country. Prices for food at shops and restaurants are higher than in the other Central Asian countries. In the capital a substantial lunch at a café would cost you 25USD, a dinner - 30USD. A meal in areas outside large cities would be much cheaper. 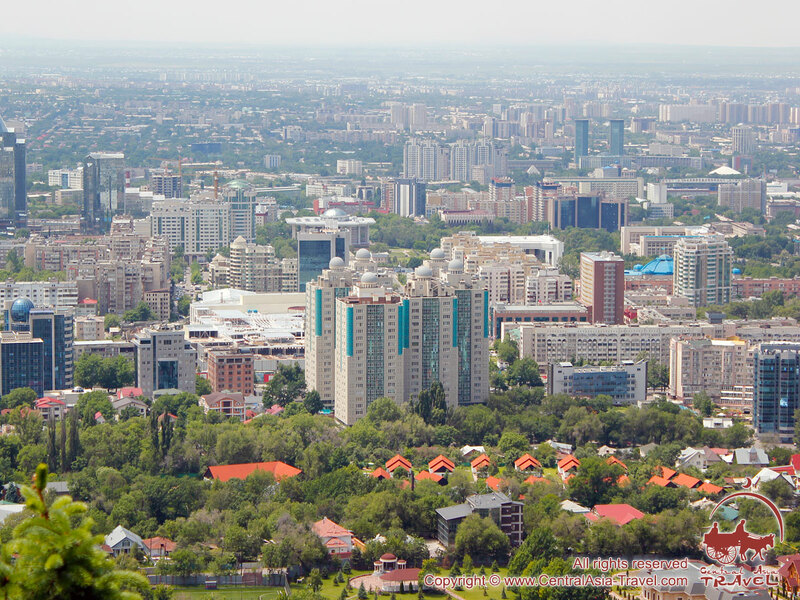 The citizens of most of the countries in the former Soviet area are not required to have a Kazakhstan visa to stay in the territory of Kazakhstan. 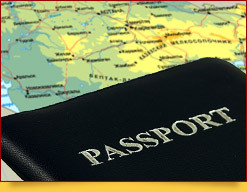 People from many other countries around the world do not need an invitation to obtain a tourist visa. The citizens of Austria, Australia, Belgium, Greece, UK, Denmark, Israel, Iceland, Ireland, Italy, Spain, Canada, Luxembourg, Liechtenstein, Monaco, Malaysia, New Zealand, the Netherlands, Norway, USA, Singapore, Portugal, France, Germany, Finland, the Republic of Korea and Japan are not required to obtain a registration while staying in the territory of Kazakhstan, if they have a Kazakh visa. Hotel workers register their clients in a special book, upon which they must provide their guest with a document confirming that they are staying at this hotel. The level of criminality in Kazakhstan is very low and tourists can hardly fall victims to criminal offence. Nevertheless, you should take some general safety precautions: do not walk in the backstreets at night time, avoid taking large sums of money with you and showing them and other precious things to other people. You should also follow the recommendations of your guide and hotel workers. You must retain the customs declaration you filled in when entering the country to the very end of the trip. You do not need to enter into it foreign currency totalling less than 3,000 USD, goods with a total price not exceeding 550 USD, cigarettes under 1,000 pieces and less than 2 litres of strong alcoholic drinks. Certainly, you may not bring to Kazakhstan weapons, narcotic drugs, ammunition and materials undermining the state’s constitutional system. You may not take from the country hunting birds, rare minerals, animals, gold and precious stones. You had better save receipts for other goods purchased in Kazakhstan. If you come across illegal actions you should contact the consular department of your country or call the hot-line service of the customs control committee: 8 (7172) 70-98-20. 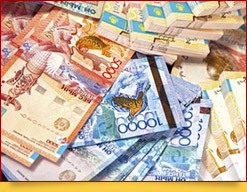 Purchases and services in Kazakhstan are officially paid only in tenge. Numerous bank departments and exchange offices are open for 24 hours in Kazakhstan. There are many automated teller machines in large cities. Bank cards are accepted in most trade centres and hotels. 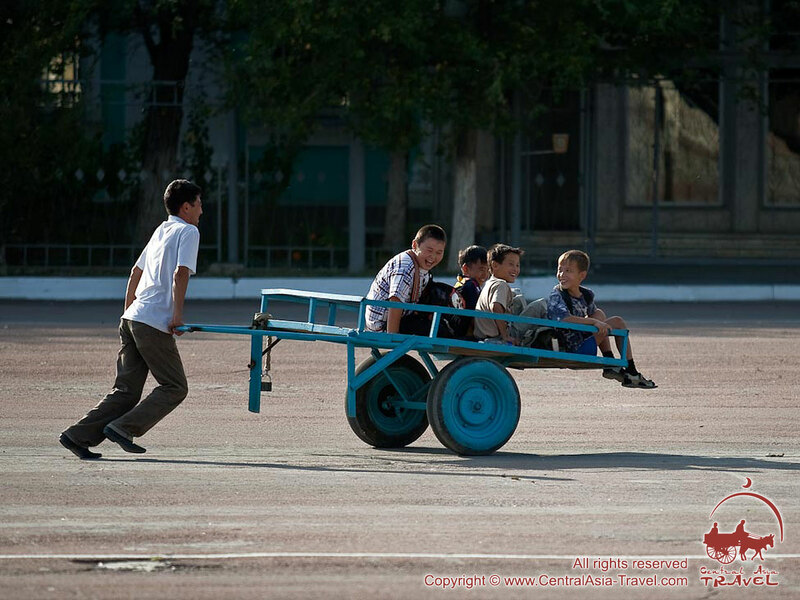 Photographing in Kazakhstan is allowed everywhere but airports. You should avoid taking pictures of military objects and people working there. The most popular of the traditional Kazakh souvenirs is kashma - a whip of natural leather, which an essential attribute of a nomad. Women may like saukele - a traditional handmade bridal headdress, or belizik - a massive bracelet decorated with a traditional pattern. They will fill you with a feeling of festivity and eternal youth. • Date varies - Kurban Ait (Eid-i-Kurbon, Eid ul-Adha), Islamic Holiday.